Sri Lanka have been competitive in patches but have lacked consistency thus conceding the first two T20Is, and the series, to South Africa. Despite having already lost the series, a win against South Africa in the final T20I in Johannesburg on 24 March will go a long way in restoring their confidence. Their tour to South Africa began on a historic note as they won both Tests, becoming the first Asian side to achieve a series win in the country. But since then, it's gone rapidly downhill without much respite. They were clean-swept in the five-match ODI series and stand on the verge of suffering similar fate in the T20Is. But they will draw some confidence from the fact that they have put in good performances in both games. Sure, they lost the last game by 16 runs, but the fact that they recovered from 83/7 to 164/9 – thanks to Isuru Udana's masterclasss – is a sign that they have depth in the batting. The first game, in fact, ended in a tie and South Africa secured victory only in the Super Over. South Africa, on the other hand, will be buoyant about their showing in the second game, winning comfortably in the end despite missing on experienced players like Faf du Plessis, Quinton de Kock, Imran Tahir and Kagiso Rabada, all of whom have been rested. Not to forget, they're also missing Lungi Ngidi and Anrich Nortje through injury. 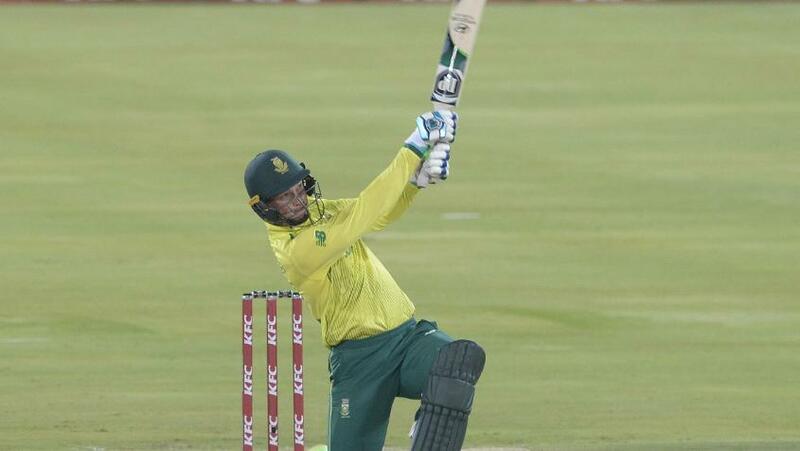 In the second T20I, the relatively inexperienced, at international level at least, Reeza Hendricks and Rassie van der Dussen stepped up to the task with both registering fifties before the experienced JP Duminy, stand-in captain, laid finishing touches with a 17-ball 33 laced with boundaries. Lasith Malinga made a big statement about his future plans after the team's T20I loss yesterday. The bowlers too did a good job and Dale Steyn even picked up two wickets in his very opening over. Chris Morris, the fast-bowling all-rounder, and Tabraiz Shamsi, the left-arm wrist-spinner, were also among the wickets. All combined to ensure that Udana's brilliance – 84* off 48 balls – was ultimately in vain. Sri Lanka's biggest concern will be the top-order, which has failed over and over again. The likes of Kusal Mendis, Niroshan Dickwella and Dhananjaya de Silva will be keen to turn that around. Rassie van der Dussen (South Africa): The 30-year-old top-order batsman is in excellent form – although he's been a little guilty of failing to convert strong platforms. But he was imperious in the first second T20I and he will want to close out with another memorable knock. Niroshan Dickwella (Sri Lanka): When he gets going he's one of the most dangerous batsmen in the Sri Lanka line-up. But he hasn't been able to really set the stage on fire this series. He did show some signs of returning to form with a crisp 15-ball 20 in the previous game, and if he can build on that, Sri Lanka will have a much better chance of making or chasing a big score. The weather forecast is promising with chances of rain only slim and the temperature expected to hover around the early twenties. The pitch at Wanderers tends to be very batting friendly and one can expect a lot of big hits.